Every year academic libraries around the world make a great effort to reach out to the new students that starts at universities and educational institutions. It’s a tough crowd to reach. First of all they don’t need the full library packed when they start and we really really wonna tell them how important a player we are in there study life and all those great things we can do for them. We need to tone that down. Many of them are starting a whole new life and the library is not the center of that. Beers, who to hang out with, who to make out with and a new life of lectures, campus life and studying is was at the center for them. At The Faculty Library of Social Sciences, Copenhagen University, we found a model were we collaborate with faculty IT department and study counseling department to reach the students in the intro weeks. The collaboration means we more or less reaches everybody since the programs the study counseling department organize are mandatory and we simply send librarians out to these events to briefly introduce the new students to there library services; locations, opening hours, course literature, print and copy (it’s important for them!) and stuff like that. No more than 10 minutes. And then we like to give them just a little bit extra to make sure they remember us and gets a good first impression of there library. That little bit extra turned out to be a LEGO Library Stop-Motion movie lasting 2:59 minutes. I got the idea from a LEGO stop-motion movie explaining the concept of open source. Understanding what open source is all about is not rocket science but this movie just explained the philosophy so great that I was captured instantly. And then it got another thing going; In my mind open source doesn’t have a body, it’s a bit palpable you know, it’s an idea, a philosophy, a bit mute (bur great for sure). But the well known and loved LEGO universe gave it a language. A mouth for explaining the great concept of open source. After seeing it I immediately wrote my library tech maven Marc Sales and pitched the idea of using a LEGO stop-motion movie to introduce the library. 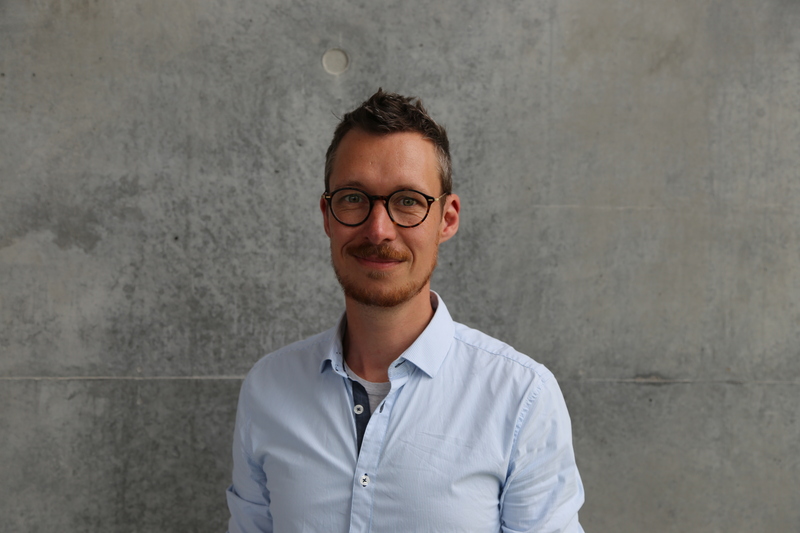 Marc was game (who wouldn’t be by the idea of playing with LEGO at work), he teamed up with information specialist Hazel Engelsmann and three months later we were ready for the big premiere. The movie is made simply with an iPhone and the app iMotion (free) and the voice over is recorded with a Neumann mic into a Macbook Pro with the program Logic Pro X. After the voice recording the sound files was cut into different pieces so it could be puzzled into the different scenes of the films. We sat up a little LEGO Lab in a meeting room with different background photos of library scenes (from The Faculty Library of course) and a lot of LEGO. It took approx 60 hours to make the movie and a total cost of 500 danish crowns (75 US dollars) used on LEGO. It will for sure be faster to make next time now that we are more familiar to the technology and the timing of film clips and sound. The impact of the movie has been extraordinary. The first time it was shown for in an auditorium for 80 new students of political science there was an standing ovation afterwards (that has most certainly never happened at a library intro at UCPH before). The dean contacted me and praised it. 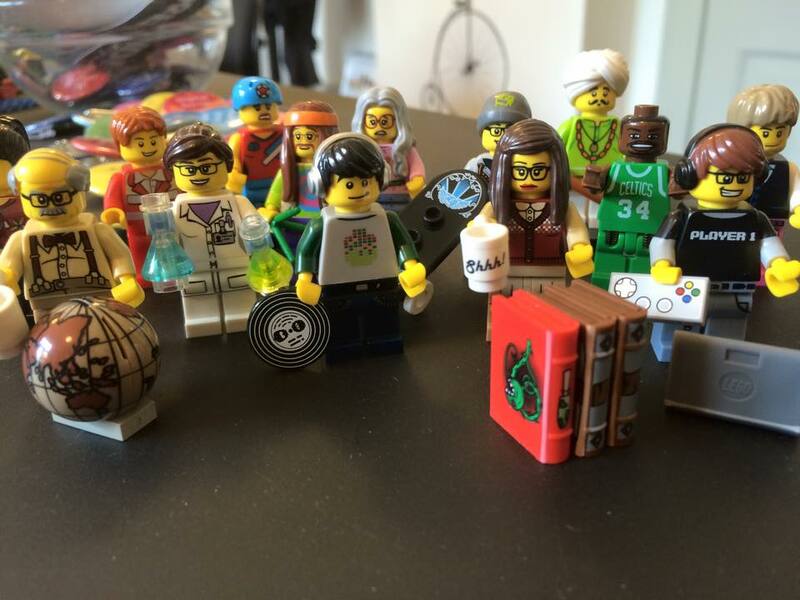 A French system librarian which I’ve never meet wrote me an email asking if I had any job openings and put it like this: “..not just because of your LEGO movie but your library seems like a really cool place to work...”. The University Post stopped by to write an article about it. But most importantly: the new students really connected with the movie. And I don’t believe that they sad back with a feeling of “wow, now I no everything about course literature and printing facilities at the library” but the movie and the LEGO universe had probably helped them bridge and connect to a world that they never really thought about. And then hey, LEGO is just plain cool, just like the library – sometime people just don’t realize the last part so we need to help them a bit with that. 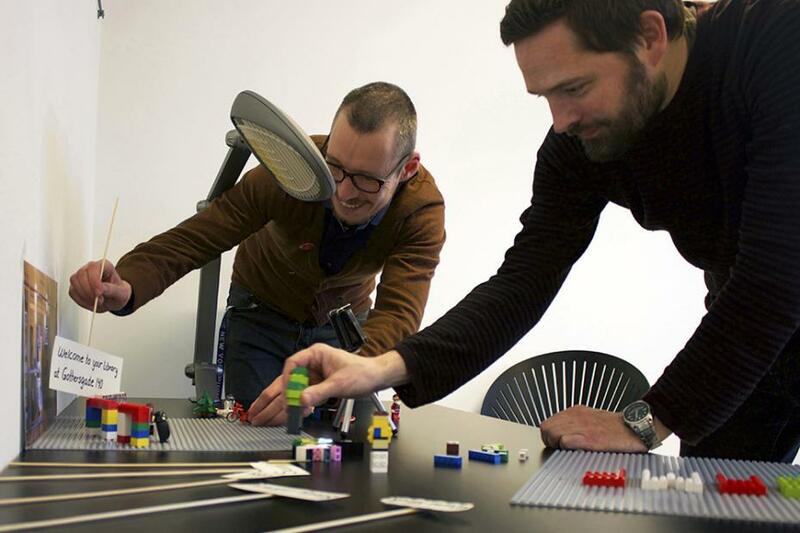 Next step is a LEGO stop-motion library intro to the whole Copenhagen University Library and it’s gonna be massive. Production is going well and and we are starting filming in June so it should be ready for the 8.000 new students that starts in September.